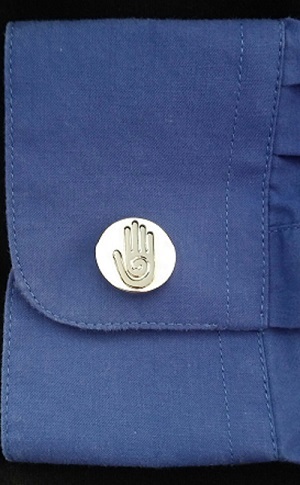 Sophisticated and stylish Healing hand cufflinks. Makes a perfect gift for any gentleman. No more decisions - your hand surgeons will LOVE these. 3/4". Silver Metal finish. Pair it with our Healing Hand Money clip!! !